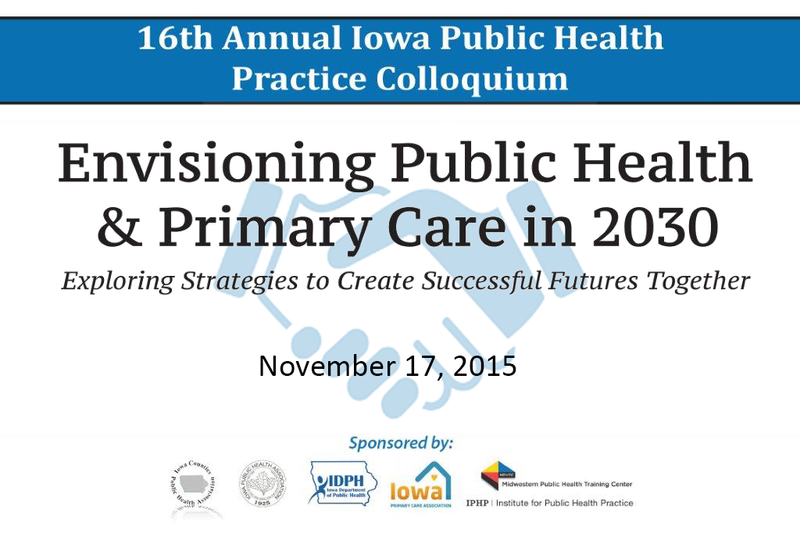 What is the future of public health and primary care? What driving forces are shaping each and where might they go in the next ten to fifteen years? This year’s colloquium will explore these questions using futuristic scenarios that consider the likely implications, challenges, and strategies for creating successful futures together. Test whether current strategies will be effective in the different scenarios. Formulate strategies to more effectively adapt to the changing environment. Assure that strategic plans address the larger picture and longer-term futures of public health and primary care.